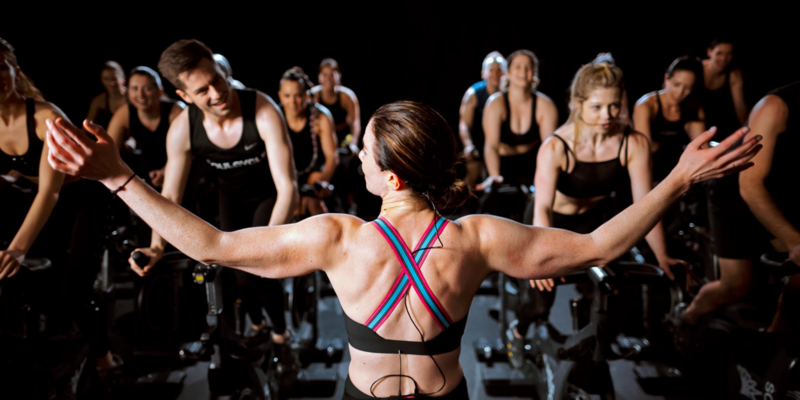 LONDON, United Kingdom — Boutique spinning sensation SoulCycle has confirmed it’s set to open its first UK studio this June, 13 years since launching in the US. The long-awaited studio will be the brand’s first location outside of North America, bringing it one step closer to the 100 venue mark. It currently operates more than 90 studios across the US and Canada in locations including New York, Los Angeles, Atlanta, Toronto and Vancouver. The new 3,500 square foot outpost, based at Great Marlborough Street in Soho, will feature 60 bikes across multiple levels, and a retail offering stocking its own popular in-house line of performance and lifestyle apparel. “We’re incredibly excited to open our first SoulCycle studio in the UK,” commented Melanie Whelan, CEO of SoulCycle. “SoulCycle is social and joyful – and gives people a way to connect. Our classes are high energy and results oriented. We’re a community and a space where you can come as you are and celebrate who you are, to work through whatever you’re facing that day and emerge feeling stronger and inspired. Above all, SoulCycle is fun,” she added. A pioneer in the boutique fitness category, SoulCycle has won over legions of followers with its transformative class offerings. More than 20,000 riders take SoulCycle classes every day, and its fans include everyone from David Beckham to Michelle Obama. To further capitalise on its cult-like status and the growing influence of its star instructors, last year the company joined forces with Equinox to launch a talent management agency. By supporting their top fitness trainers’ social media development and follower growth, both brands aim to unlock large-scale lifestyle sponsorship deals and strengthen their own in-house marketing strategies. It’s a model that has since been replicated by Barry’s Bootcamp in the UK. Last year the forward-thinking brand also launched its own media division, designed to create content and programming across music, video, audio and experiential activations. Some of its recent activations include turning its classes into live music concerts and launching a music programme with Apple. In keeping with its existing studios, SoulCycle says its London outpost will open with a group of top instructors recruited globally, each extensively trained to teach SoulCycle’s proprietary method. The instructors, it reveals, will serve not only as instructors but above all as motivators and inspirational coaches for its community of committed riders. And, if all goes to plan more studios are set to follow. “The launch of our studio in the heart of Soho is just the beginning,” Whelan commented.